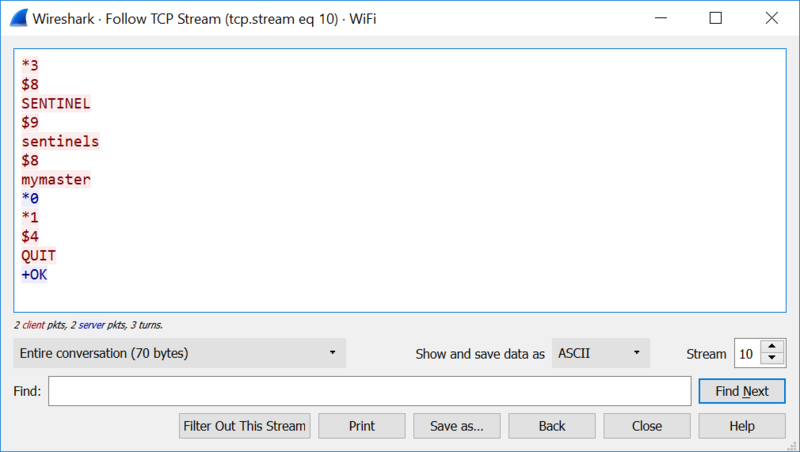 On (B), the program works just fine. Nothing like this happens when I just used ServiceStack.Redis.RedisClient(host, port) to make direct connection to its master. Note: you should have at least 3 Sentinels in any Redis configuration. 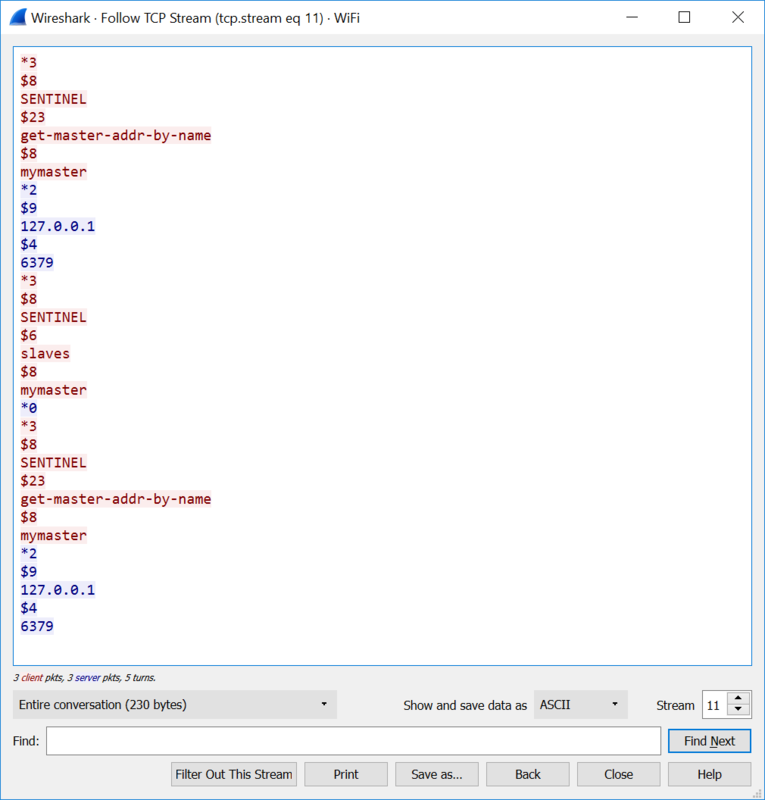 The Exception message says it can't establish a TCP connection with the Sentinel Server instance, can you try to make a direct connection to the Sentinel Instance with ServiceStack.Redis? What port is the Sentinel instance running on? Are you connecting with redis-cli to the sentinel instance on the same instance that ServiceStack.Redis is trying to connect to it? The connection can also be due to a firewall, make sure you have the port open for each redis instance you're running. Yes, I'm already making direct connections to sentinel (50003). 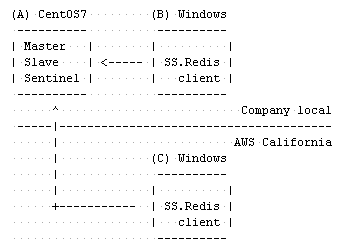 redis-cli.exe and ServiceStack.Redis are run on the same instance (C). 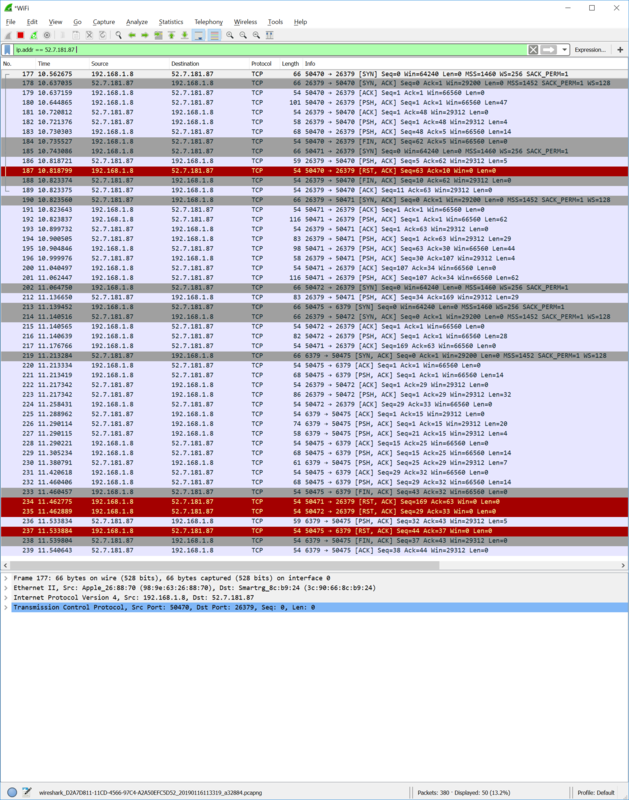 As I noted ealier in wireshark output, the strange thing is that ServiceStack.Redis keeps sending many connection requests without waiting for server (A)'s second phase (ACK), and it closes connections even after received the replies (ACK) properly. ServiceStack.Redis is just trying to establish a standard TCP Connection using .NET's built-in System.Net.Sockets.Socket, it doesn't have any control over the low-level TCP hand-shaking, that's all handled by .NET's internal networking classes. 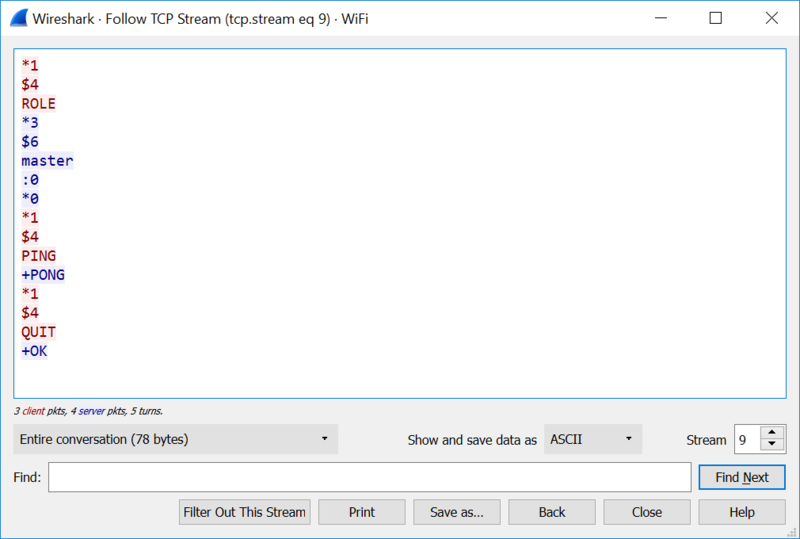 I'm assuming it's a firewall or faulty networking issue given it's unable to establish a basic TCP Socket connection where I'm expecting no .NET Library will be able to maintain a TCP connection. It only happens when the client implementing ServiceStack.Redis is run on AWS instances. I've tried 2 different instances and the both resulted in failure. Can you try connecting to my AWS Amazon Linux Redis Sentinel instance from your client (its still publicly accessible) to see if you can connect? Also what is your client and server OS? I've just run several times. No exception occurred. Seems like it's working only if the nodes on the both sides are AWS instances? It works in all cases, when both are on AWS, when only the server is, when only the client is calling a Redis server on my hetzner server in Germany. I’m unable to repro this issue at all which seems to be an issue with calling your Redis server, which I still assume is the fault of a firewall or faulty network condition.